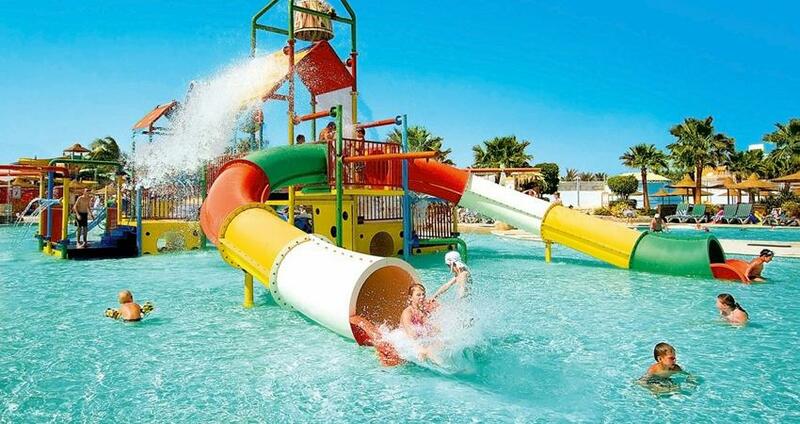 If you’re searching for that one unique and thrilling adventure, that will make this precious vacation the best you ever had, we have just the offer for you – Turunc Aqua Dream Waterpark. Let your inner child run free, as you explore and discover many benefits of the one and only Aqua Dream Waterpark. Our tour starts with a free pick-up from your hotel in Turunc at about 11:00 am. Your driver will give you a comfy and cozy ride to Aqua Dream Waterpark. 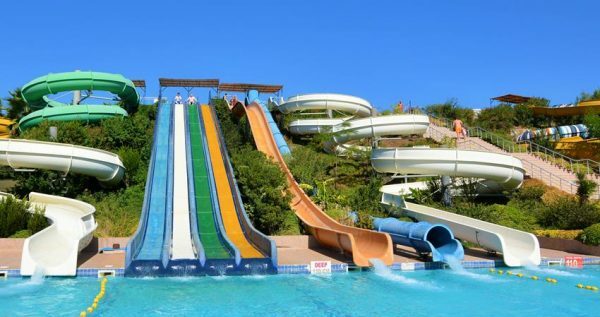 This marvelous Waterpark has numerous exciting rides such as Pirate’s Waterfall, Pirates Tunnel, Sunk Boat, Pirate’s Ship, Crocodile Frog, Mushroom Adventure River, Turtle, Gang Slides, Anaconda and great Splash around water currents. You can enjoy many of these fun rides without waiting in queues. 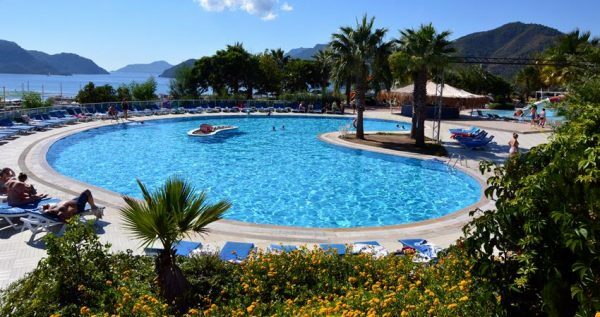 You can be sure that Turunc Aqua Dream Waterpark takes your satisfaction very seriously so they have arranged different facilities to make you stay as comfortable as possible. These facilities include locker rooms where you can keep your valuables without worrying they’ll get lost or stolen, and changing rooms where you can change your outfits. 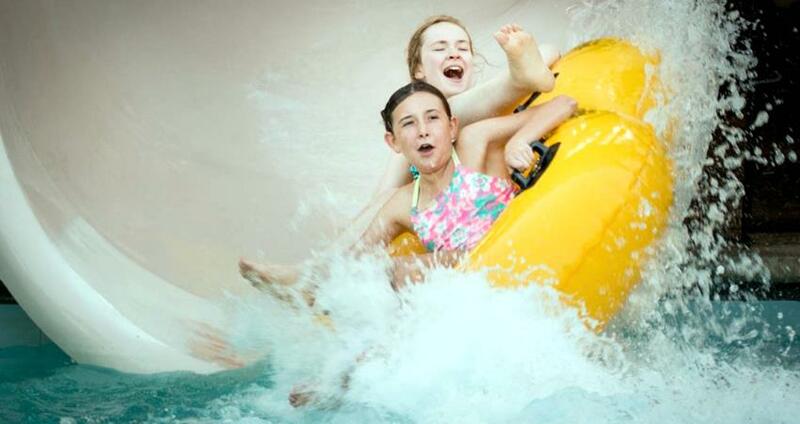 Waterpark is also equipped with showers that will help you relax after all the thrilling rides. 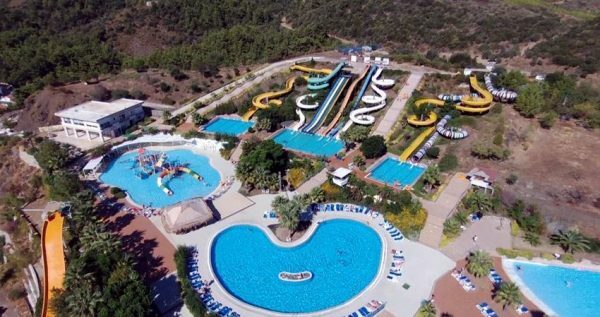 The water in our amazing waterpark is cleaned and bleached regularly to ensure that it is safe and fresh for children and adults who visit the park. The park itself is open every day from 10am to 18pm, so you have quite a time span to enjoy your favorite rides. There are no age restrictions here, and you can take your children with you without worrying about any unpleasant surprises, because here at Aqua Dream Waterpark, we take your safety as our top concern. Don’t forget to bring your sunglasses, towels and swimsuits. 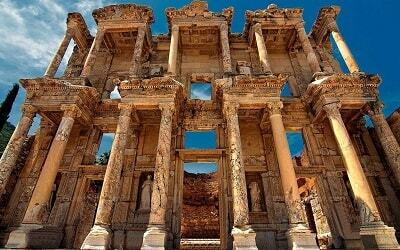 Once you’ve had enough fun for the day, and you want to get some rest, our driver will pick you up, and take you to Marmaris bus station, where you can catch a dolmus back to Turunc. 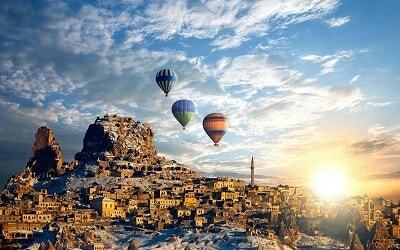 Don’t wait any longer, and reserve your spot on this amazing adventure. 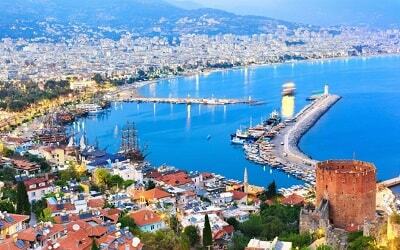 Make this vacation the most fun one you ever had. If you’re up for a fun day of memorable entertainment with your friends, family and kids, then our Aqua Dream Water Park Tour from Turunc is just the right choice for you. 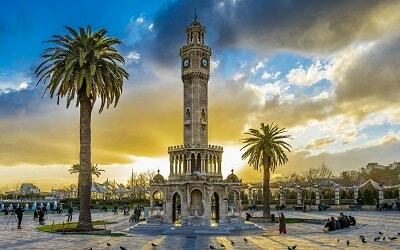 This terrific park is open from 10am to 6pm, and it offers five sessions per day. 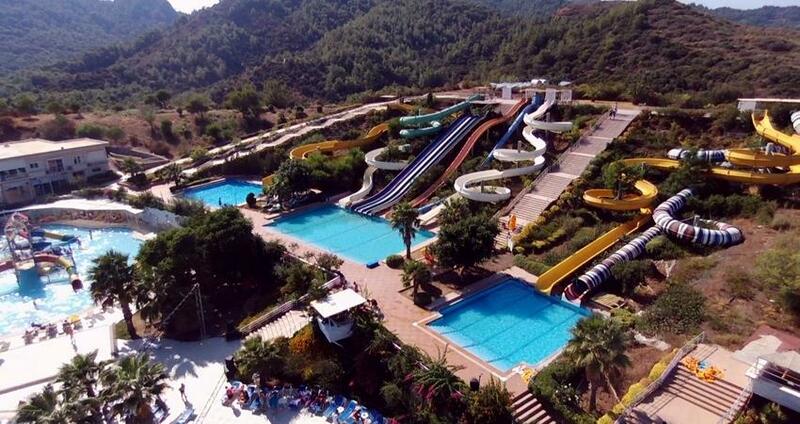 Once you choose your visiting time, our driver will pick you up accordingly and take you to this marvelous Waterpark. Aqua Dream is the biggest waterpark in this area, and it is located on a hill-top overlooking the city, so the visitors have a terrific view as well. 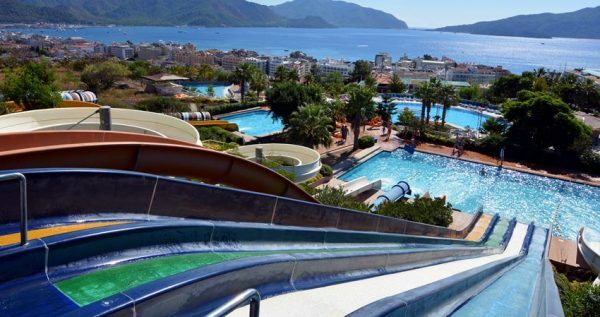 This park is equipped with 9 different slides, and each of these fun slides has its own advantages and levels of fun and thrill. Some of them might seem even a bit dangerous, but you can rest assured that they are all safe and that our life-guards are nearby if you need them. Aqua Dream Water park has showers, changing cabins, lockers, safety deposit boxes, toilets, restaurant, bars and a cafeteria. 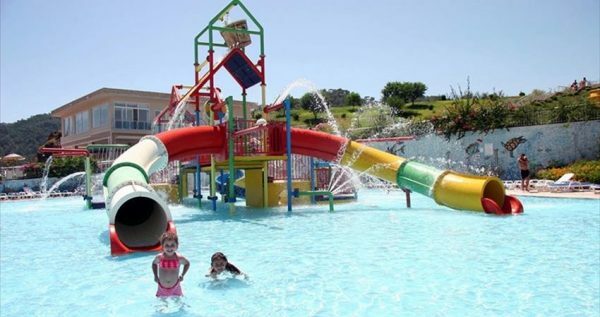 All of these amenities are at your disposal free of charge, as this park always aims to make you happy and content. 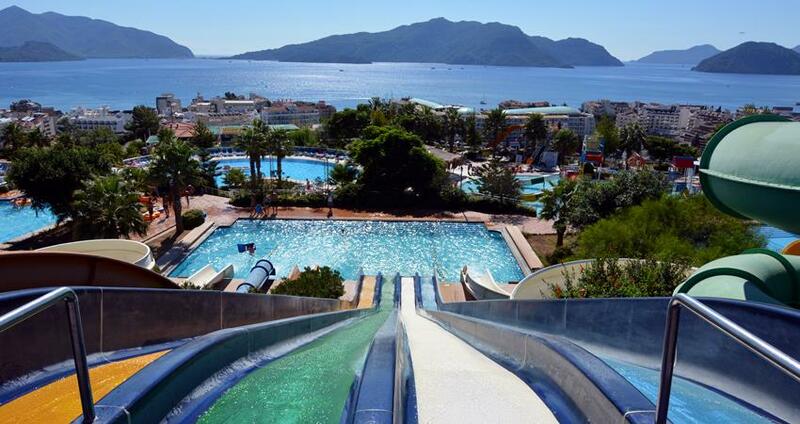 The most popular spot in the park is definitely the Wave pool. This innovative pool starts working at 2pm. Once you take a dip in this pool, you will feel like you are taking a swim in the restless ocean water. We should also note that the water is being cleaned regularly, in order to provide a hygienically safe environment for its guests. Foam Party begins at 3pm, and everyone are invited to join in and play in the foam, which is one very fun and enjoyable experience. 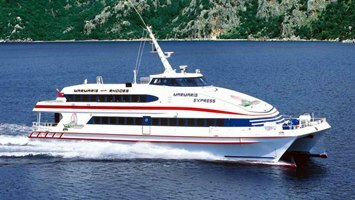 Once you you’ve had enough fun, our comfy shuttle bus will take you to the bus station, where you can catch the next dolmus to Turunc. Turunc Boat Trip can be also another nice day during you holiday.